As a registered attendee, you will have full access to two days of technical presentations and equipment demonstrations. Mechanics and operators as well as managers and supervisors will benefit from content geared to their unique needs. Explore this year's line up of presentations and events in the conference flyer. This year's conference features suppliers of winter maintenance equipment, materials, and services from accross the country who are ready to showcase their latest technologies and techniques in fighting snow. The Exhibitor Showcase gives you a unique opportunity to talk with two dozen industry experts and to interact with their indoor and outdoor displays. Preparation is the key to a successful season of winter maintenance. New technologies, changes in operational practices, and routine maintenance can all save your agency money once the snow starts to fly. To help you gear up for next snow season, Michigan Winter Operations Conference is the place where you can listen to, learn from, and share ideas with your peers from state, county, and municipal agencies. You can learn more about the Michigan Winter Operations Conference by exploring conference flyer as well as the agenda and presentations from previous conference, accessible from the "Previous Years" tab. 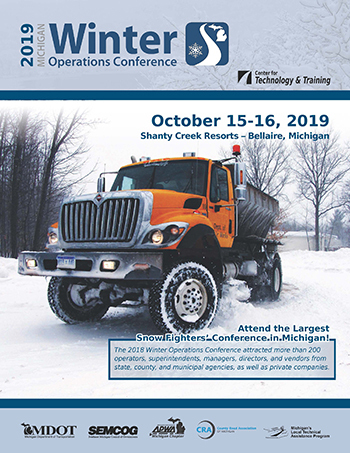 The Michigan Winter Operations Conference is a conference of the Center for Technology & Training (CTT), made possible through the support of multiple transportation and public works agencies. It is hosted each year by the CTT, home of Michigan's Local Technical Assistance Program. For more information on the conference or for registration information, please explore the tabs, above, on ctt.mtu.edu/winterops. Stay tuned for the latest registration information. Registration for Winter Operations Conference will begin in the summer of 2019 and continue through the late September/early October. Register early for the early-bird rate. 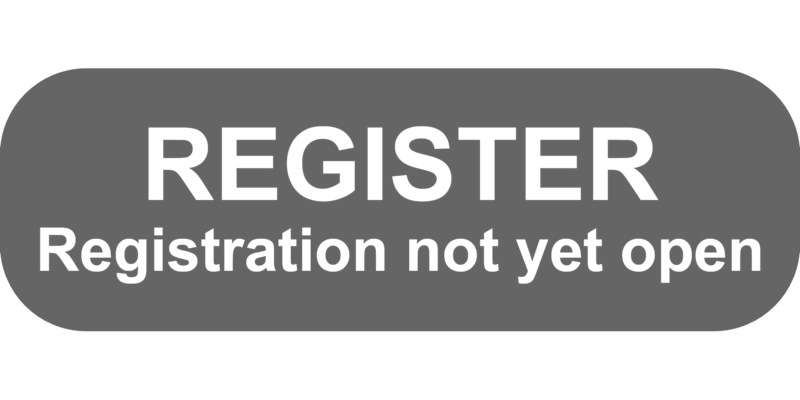 Late registrations are at the full conference rate. See more information about registration below. Registration does not include accommodations; the conference flyer contains for more details on accommodations that are available for participants. Please notify us in advance if you have special dietary needs. NOTE: Michigan Tech reserves the right to use any pictures taken during this event for advertising and/or instructional purposes. CANCELLATION POLICY: No-shows and cancellations within three business days prior to the workshop or conference will be charged the full registration fee. Substitutions will be accepted. Questions? E-mail ctt@mtu.edu or call (906) 487-2102. The conference will count for instructional hours for continuing education for professional engineers; the number of hours is yet to be determined. The CTT’s continuing education policy is available at ctt.mtu.edu/continuingeducation. Equipment, materials, and services are key pieces of the winter maintenance puzzle. Attendees will be looking for you to help them put the pieces together. Don’t miss this chance to talk to decision-makers about how you can help them prepare for the coming winter. Exhibitor registration will be opening in late May/early June. Please view the 2019 Exhibitor Information sheet for more information and to begin the exhibitor registration process (when registration opens). If you are on our mailing list, you will receive an e-mail notification as soon as the registration process opens. The CTT will be responsible for your complimentary conference registration as well as your exhibit space assignment. Shanty Creek Resort will be processing payments for exhibit space. If you have a question or concern about exhibit space assignments, please contact the CTT and not the resort. Booking an overnight room at Shanty Creek Resorts is the responsibility of each exhibitor. The conference flyer contains more details on accommodations that are available for participants and exhibitors. Create an outline for your presentation. Make sure you have a clear central idea and three to four audience take-aways. This will help you create a presentation that is easy for your audience to follow. Keep points simple and succinct. You're an expert, but there are many people in the audience that are new to this information. Use large type, standard fonts, and strong contrast on your slides. This will guarantee that your audience will see what's most important. Use simplified charts and graphs instead of tables. The finer details work best for printable charts, graphs, and tables. When you omit these details from your slides, don't worry: you can still talk about them if you feel that some of those details were helpful for context. Use images where possible. And, remember: any words on your slide should not be repeating the words you are saying; otherwise, you and your slides will be redundant. Use video only if it is the best or only way to communicate your point. Be sure to clip videos to the most salient sections. Your audience is there to hear you! Please feel free to contact us at ctt@mtu.edu if you need assistance in constructing your presentation. We will be happy to help you! Do you know a person who is knowledgeable about an innovative technology or a timely training topic? Do you know something about a technology or technique that you think would help your peers? Please take a moment to suggest a person you know or yourself as a potential speaker at one of our upcoming conferences using the form below. NOTE: We greatly value your input; however, we may not be able to incorporate every suggestion we receive. NOTE: We greatly value your suggestions for topics that provide training and technical assistance; however, please be aware that we cannot use marketing/sales topics for our conference presentations. The links below contain the conference brochure and presenter slideshows (you'll be redirected to the Michigan LTAP website for events that took place before 2012).